Jus’ Sail is St. Lucia’s top rated day sailing charter company and the home of the Jus’ Sail Youth Training Programme. Your first choice in St. Lucia to leave the crowds behind and enjoy your own sailing charter, small group sailing tour, private sailing charter, day sailing experience, learn to sail; and you can even get married, propose or renew your vows afloat with us. And to contribute to building the next generation of Saint Lucian sailors by offering training, certification and employment opportunities within the marine industry to disadvantaged local youth during the off season period. By coming sailing with us you are helping to ensure the continuation of a traditional connection between the youth of this island community and the sea. Every charter allows us to work towards the next generation of avid sailors on the island of St. Lucia. Guests, should they choose to, can even give back directly by purchasing some of our merchandise (T-shirt, Cap, our yummy local black cake etc. ), all profits from which go to support our training programme. Awards and recognition are not why we do what we do, but they are nice to share! 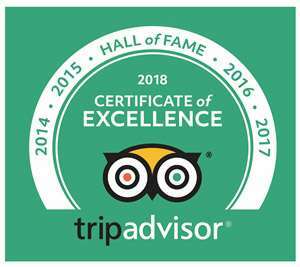 We are extremely proud of the recognition of our dedication to customer service and the experience we offer our guests through six consecutive Trip Advisor Certificate of Excellence for the years 2013-2018 and being named “Caribbean Charter Company of the year” in the Luxury Travel Guide 2016. Whilst our youth training programme took us to being finalists in the prestigious World Travel and Tourism Council Tourism for Tomorrow Awards, People Category in 2016 and in 2018 we are finalists in the Social Responsibility Category for the annual Caribbean Hotel and Tourism Association Awards. However, we are probably most proud of our first mate and 2013 training programme graduate O’Brian Forde who was named Employee of the Year at the CHTA awards 2017. This recognition of how far this young man has come since training and working with us is testament to his passion for and commitment to: sailing, our boat and the enjoyment of our guests. We are sure you will love OB as much as we do when you step aboard and meet him! Jus’ Sail offers unique Caribbean day sailing experiences, romantic sunset cruises and special events such as proposals, weddings and memorials aboard our lovingly restored Carriacou Sloop ~ Good Expectation ~ quite simply the most comfortable and relaxing way to enjoy a sail along St. Lucia’s stunning coastline. 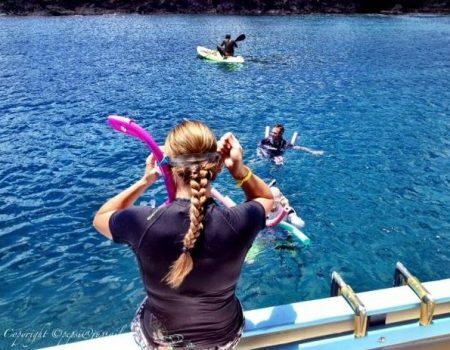 We look forward to hearing from you if you are considering some time on the water whilst you are staying on the beautiful island of St. Lucia. In early 2018 the World Travel and Tourism Council sent a team from Greentraveller Productions to visit us and make a short video on our youth training programme. As finalists of their 2016 sustainable tourism awards this video was shown at the WTTC global summit in Buenos Aires in April 2018. We are proud to share it with you here! The next video is much less polished but very authentic as it captures one of our most memorable charters, a romantic engagement on the Caribbean Sea. We hope you enjoy watching it as much as we did filming it! For over 150 years these colourful, hand built, wooden sailing vessels traded everything through the West Indies from spices and food stuffs to rum and contraband. A once regular sight between the islands… for decades lost… Jus’ Sail is proud to put this unique piece of West Indian history back to work and we believe you will love the experience of sailing aboard as much as we do. So for those adventurous souls seeking an authentic connection to the heritage of this historic island chain the Jus’ Sail crew will ensure you have a truly fun & memorable experience. Our wide decks and comfortable seating makes for a laidback experience be it in a small intimate group or a private sailing charter that perfectly enhances the romance of being aboard this unique traditional wooden sailing vessel. "...had a fantastic day of sailing with the Jus Sail crew in April. Rather than a sail charter, the vibe was going sailing on a friends classic sailing vessel... the crew treated us like friends. 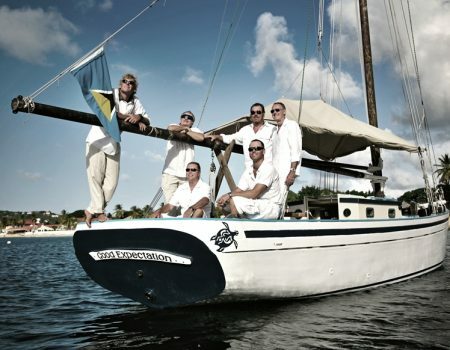 I plan to sail with these guys again as soon as we return to St Lucia." "Thank you so much for a wonderful day - this trip is a MUST if you are in St Lucia, we will certainly be back next year, can't wait." "All and all it was great relaxing sail boat ride. The family run business was excellent, responsible and well run. Couldn't recommend them anymore. You can not go wrong with this trip." "It was a birthday treat... Exhilarating... A perfect day and a perfect experience." One aspect epitomises all our Jus’ Sail experiences…. 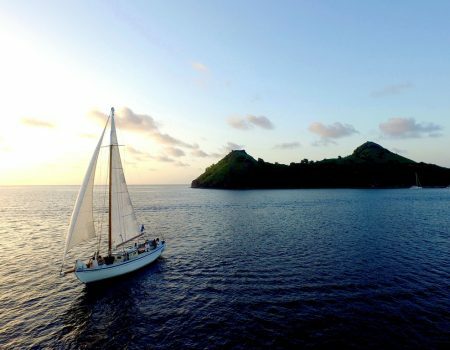 We strive to offer you exactly the kind of day afloat that you want and always aim to ensure that your sailing charter with Jus’ Sail will be the highlight of your St Lucia vacation. At Jus’ Sail there’s only one thing we love as much as sailing & that’s supping some premium St Lucian rum on the deck of Good Expectation, whilst enjoying a stunning Caribbean sunset! Part of Jus’ Sail’s focus is upon reviving St Lucia’s maritime culture through the engagement of its youth in learning to sail and helping them gain employment within the industry. Jus’ Sail run youth training programs during the off-season summer months. The training programme has three tenets which underlie its focus – Training – Certification – Employment. The Jus’ Sail Youth Training Programme is funded through donations and the purchase of our merchandise. All contributions are gratefully received.